Hambleton Community Action provides a range of supporting services to charities and community organisations. Please see below for the information services and support we offer. Setting up a new group or organisation can be a scary prospect and will involve a variety of tasks and different things to consider. If you are seeking help to promote the activities or services your group offers then you may wish to get in touch. 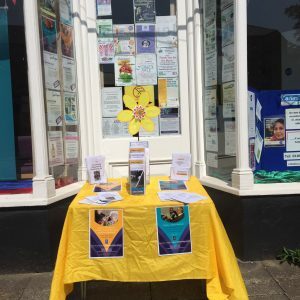 We can put articles in our newsletters, display posters on your behalf and offer charities and voluntary groups space in our ‘shop’ window on busy South Parade. 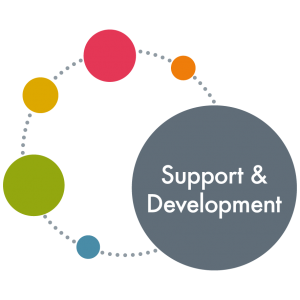 Or perhaps you are looking for support with how to write a press release or produce a marketing plan, in which case one of our development workers would be happy to meet with you and chat about how we may help. If your charity or voluntary group is in need of help and support with any aspect of your accounts then please Contact Us to get in touch with our Community Accountant at Keith.blewitt@hambletoncommunityaction.org. We can offer you a free one hour session on a Wednesday morning at Community House, Northallerton. Pre-booking is essential. Hambleton Community Action also offers an Independent Examination of Accounts service. A charge is made for this service, please get in touch for further details. 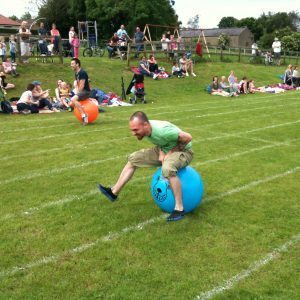 Hambleton Community Action have a directory of community equipment and fundraising kit available to hire in return for a donation to groups, including a marquee, gazebo, tombola and even a popcorn machine. Please see our equipment directory for information of what we have available. We also have a library of useful reference books available for short term loan. Hot-desking, administration support, use of our photocopier or laminator are available for voluntary groups, for which charges will be made. A ‘post box ‘ service is available to groups free of charge. Hambleton Community Action provide a training calendar of events for voluntary and community groups. Do get in touch if you have a specific training need which isn’t listed in our programme. We may be able to provide a bespoke training course to suit your purpose. Hambleton Community Action is offering the following training programme during 2017. All the courses are suitable for volunteers, trustees and staff. All the training sessions will be held locally at the Cottage Room, Methodist Church, High St, Northallerton, DL7 8EG. We are also offering a session on Thursday 14th September 2pm to 3pm (free of charge): ‘How to Involve more Young People with your Voluntary Group’ by Lizzie Clapham at Mencap Centre, High Street, Northallerton. Please email admin@hambletoncommunityaction to register your interest in this session. Many local voluntary organisations find benefits in linking up with other groups with a similar interest. We can signpost you to such groups. Alternatively you may wish to join one of the various forums that meet up through the year. Hambleton Community Action also hold a number of one-off network events (when local groups have indicated that this would be useful) for example we have brought together groups of village halls, pre-school groups and friends of schools groups. Hambleton Community Action are keen to support local voluntary organisations to have a ‘voice’. From time to time we are consulted by public agencies who wish to hear your views. We distribute details of these consultations in our newsletters and discuss them at appropriate forum meetings. 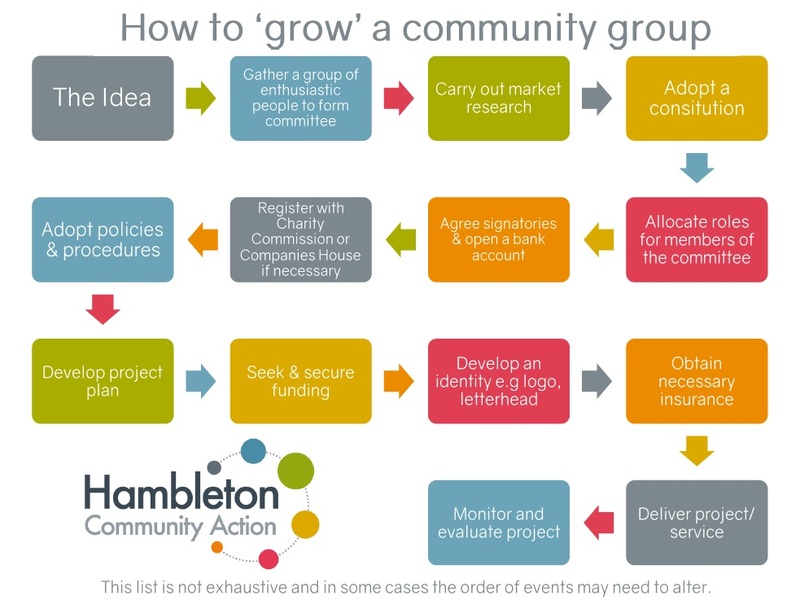 Please click here to find out more information about becoming a member of Hambleton Community Action. If we at Hambleton Community Action are unable to help you directly we will endeavour to find someone else who can. We work with partners across North Yorkshire and York, some of whom have a particular specialism.